There are lots of things I’m good at, and there are possibly more things that I’m terrible at. But because I’m white, middle-class, able-bodied, and conventionally attractive, I have the privilege of not having people prejudge my success because of the way I look. The thing is, everyone deserves this; it shouldn’t be a privilege but a right. That’s why my husband and I are sporting blue fingernails today. Blue nails are hard to ignore — such a bold hue makes the fingertips a focal point — but if you’re only seeing a small part of the fingers, you’ll likely miss what these hands can do. The assumptions we make about perceived ability are often far more limiting than actual disability. That’s why we’ve painted our nails blue: to show Connor we believe in him — that he can and will do so much more if given the chance. Today is World Down Syndrome Day, and you can show your support even if you can’t paint your nails blue. Read what Connor’s mom, Christie, has to say about the importance of Down syndrome awareness. I promise that’s a start. This entry was posted in Uncategorized and tagged blue nail crew, food for thought, WDSD. Bookmark the permalink. Thanks for sporting the blue nails. Advocates like you and Andrew are community leaders and make the world better for Connor and others with Down syndrome. Thank you to you and Christie and Connor for getting us involved. 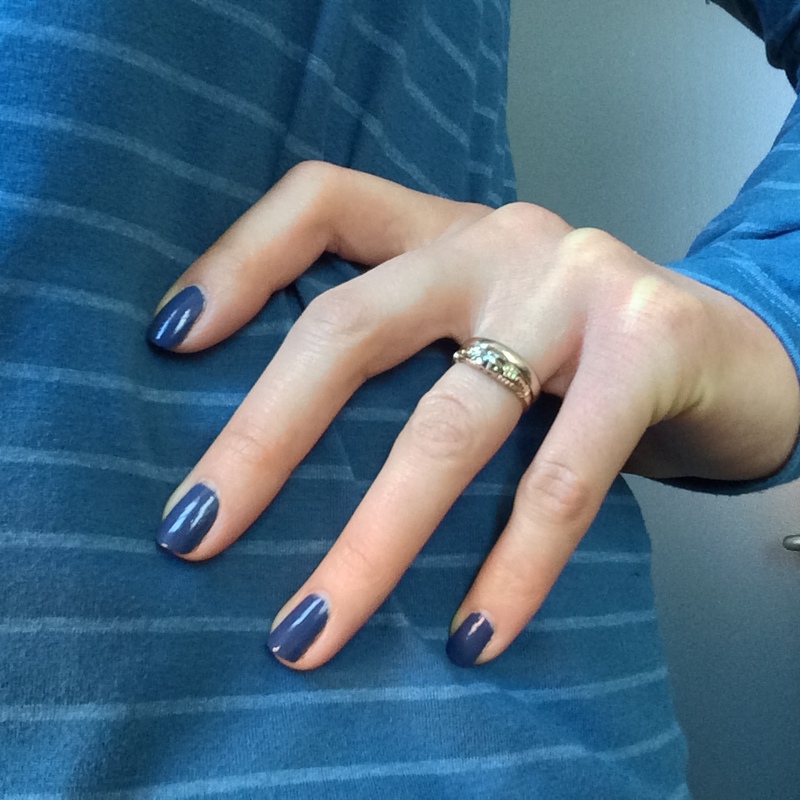 I’m already eyeing shades of blue polish for next year! Tasting Flight: Whisky is dead! Long live whisky!